Amanda tries a mature adventure game that explores important topics. Life is Strange 2 is an adventure game for adults that follows two brothers on their difficult quest to make it to Mexico after running away from home. The game allows players to make decisions that impact the way the story plays out. Life is Strange 2 is rated M for Mature, and isn’t appropriate for young players. However, parents can play or watch the game together with their teens for an opportunity to talk about sexual health, family relationships, and more. 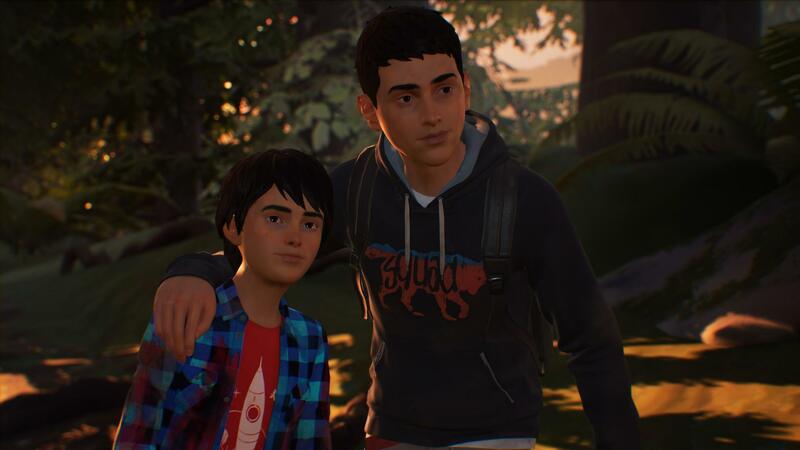 In this episode of Ready Player Mom, our Amanda Farough becomes acquainted with the Diaz family, and explains why the Life is Strange series is important. The first episode of Life is Strange 2 is available to download for $7.99 on PlayStation 4, Xbox One, and PC. The complete game, which will contain five episodes in total, can be purchased for $39.99. Episodes 2-5 will be released in the future.